It was a good turnout on Monday when I spoke with the Routt County Council on Aging about memoir writing. We discussed how to begin writing, ways to stir the memory pot and shorter forms of beginning to create a picture of one’s life. During the Q & A period, at the end of my presentation, there were a number of very thoughtful questions asked. One woman wanted to know whether you can start your life story in the here and now and work backwards. “Yes”, I told her, “lots of people do that.” In order to handle it well, it helps to have good developmental editing and perhaps a more skilled author. Flashbacks and the use of various scenes are helpful in writing backwards. We also discussed the importance of selecting only those significant life vignettes that have contributed to forming you as the person you are, rather than including an entire lifetime from beginning to end. The same woman then followed up with another thoughtful question inquiring whether individual stories can be used as a memoir. I suggested she stitch the stories together with a common thread. Then I went on to mention the common themes that run throughout my award-winning memoir, Gift of a Lifetime: Finding Fulfilling Things in the Unexpected, a collection of short stories(anthology). See you tomorrow on All Things Fulfilling. Have a great day everybody! This blog is brought to you by award-winning author Sue Batton Leonard. For information on Gift of a Lifetime: Finding Fulfilling Things in the Unexpected or short stories Lessons of Heart & Soul. Regular readers of All Things Fulfilling know that Thirsty Thursday’s focus is on good news. Usually we share stories of others who inspire us but every once in a while, the good news is our own. 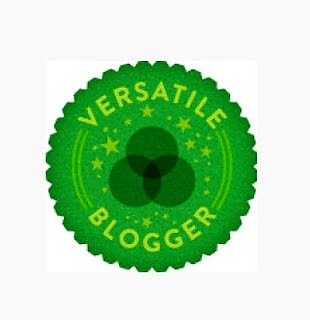 Today, the good news is that I have been nominated for the Versatile Blogger award. The nomination came from a fellow writer who also has the award behind her and she has passed the torch to myself and few other fellow bloggers by nominating us. That’s pretty cool. To receive the nomination from Linda Collison is very complimentary because I have been following her writing and blogging for a number of years. I am always inspired by her work and by the creative marketing of her publications. She is a multi-award winning author and a person who lives life admirably and literally with few restraints. Getting recognition from fellow writers and independent publishers is an honor because it means it you are on track with what you are doing! Thank you Linda for the nomination. Do return next week to All Things Fulfilling. I will share 7 things with our readers that may not know about me. The good news is my common interests with Collison go beyond writing. We are both coincidentally, Baltimore natives who had never met until our lives converged at the Steamboat Springs Writers Group! “The treasure is in the voice,” the author says of her EVVY award-winning audio book version of Gift of a Lifetime: Finding Fulfilling Things in the Unexpected. 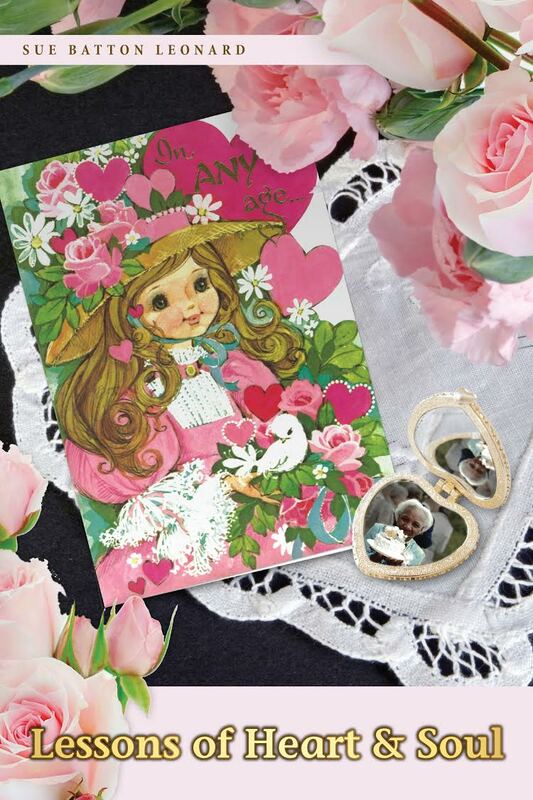 Some readers argue that “the real gold is in Fanny’s character.” Either way, the Batton family benefited from the love and friendship of a woman who kept things in the right perspective. Fanny was a real winner! 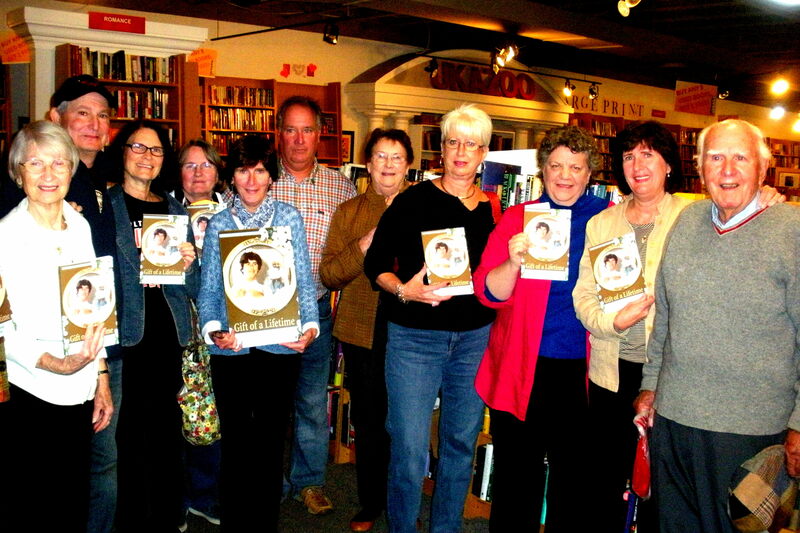 Last weekend at a book signing in Towson, Maryland, award-winning author Sue Batton Leonard’s home town, something wonderful happened – a group of Fanny fans gathered round! Some knew Fanny in real life and others met her through reading the award-winning memoir. If you want to learn more about the “phenom Fanny,” Ukazoo has Gift of a Lifetime:Finding Fulfillling Things in the Unexpected in stock! http://www.ukazoo.com. It is also available through other major on-line book sellers in audio book, paperback and e-book. Gift of a Lifetime: Finding Fulfilling Things in the Unexpected has become a finalist in another book competition, in two categories – young adult and non-fiction. To read more about the 2014 Harvest Book Competition, please visit this link. http://bit.ly/ZWqMxV and to see the list of other finalists and the titles of their books, please visit this list. http://bit.ly/1vbWwfb. About two weeks ago, a newsletter from All Things Fulfilling with the mention of my two book awards and notification of book signings that are upcoming in October was sent out via e-mail. I received an unexpected number of congratulatory e-mails in response. They came from people with whom I have made business connections over the years through the independent publishing industry. I hadn’t heard from some of them in a while. One such e-mail came from Diana who said “You motivate me to work on my own book.” I’d like to say thank you to everyone who took the time to write because you encourage me! I have had the privilege to meet such interesting and creative people through my work in the field of independent publishing. As I look back over the past 6 years, I am astounded to think that I have published an award-winning book, written some 1,461 blog posts as of today, had 6 or 7 e-zine articles published and formed We Write Steamboat, a networking group for independent publishers with 58 members and counting! 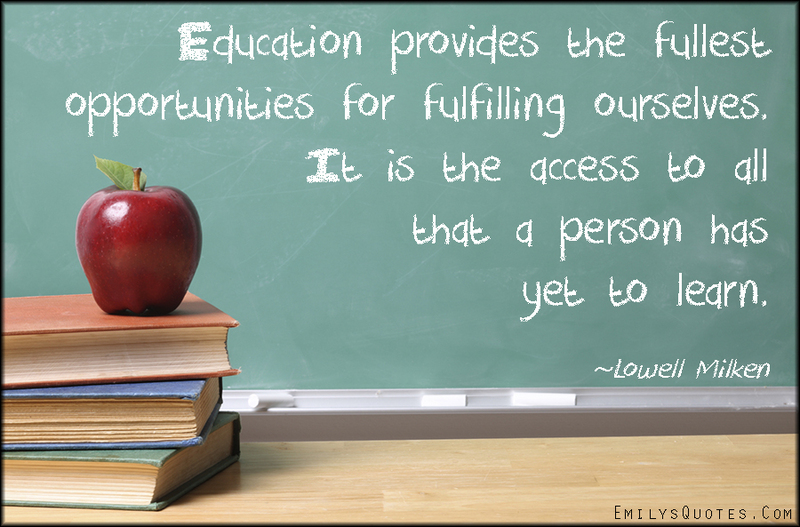 There is a lot that has come with that. 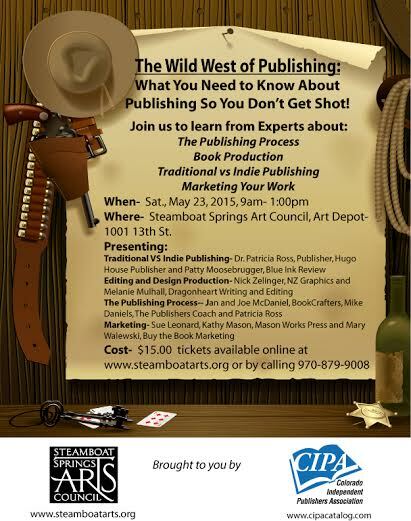 I’ve also done volunteer work in the arts, for the Colorado Independent Publishers Association and for my church. Needless to say, I’ve been busy. I’ve gotten much personal fulfillment out of all of it or I wouldn’t have continued. Why am I telling you all this? Because sometimes we do have to pat ourselves on your back and be proud of our own successes. When I moved to Colorado six years ago due to my husband’s new employment opportunity, I had no idea what I was going to do. I decided to take a leap of faith and invest in learning all I could about this thing I became so interested in called “independent publishing.” As it turned out, even though I had already worked in the industry I had just begun to wade into the waters. The industry kept evolving. At that point I hadn’t even begun to learn about good writing or public speaking either. Never, in my wildest dreams, did I think I would soon get to all that I’ve accomplished! Leaps of faith…sometimes we need to take them. 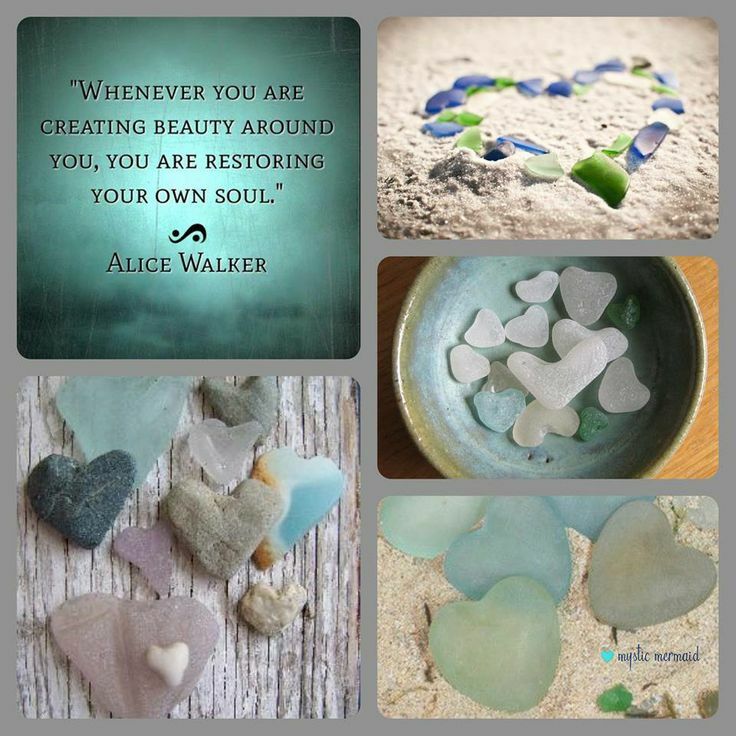 What happens when we are driven and livin’ by our heart, soul and creativity can be surprising! Over the next 10 days or so, I will be taking a much needed break to concentrate solely on preparing for some upcoming book appearances. I invite you to peruse this site. There are hundreds of postings about independent publishing, finding motivation in the arts, writing, ideas that are an extension of my book and all kinds of fulfilling things to read about.